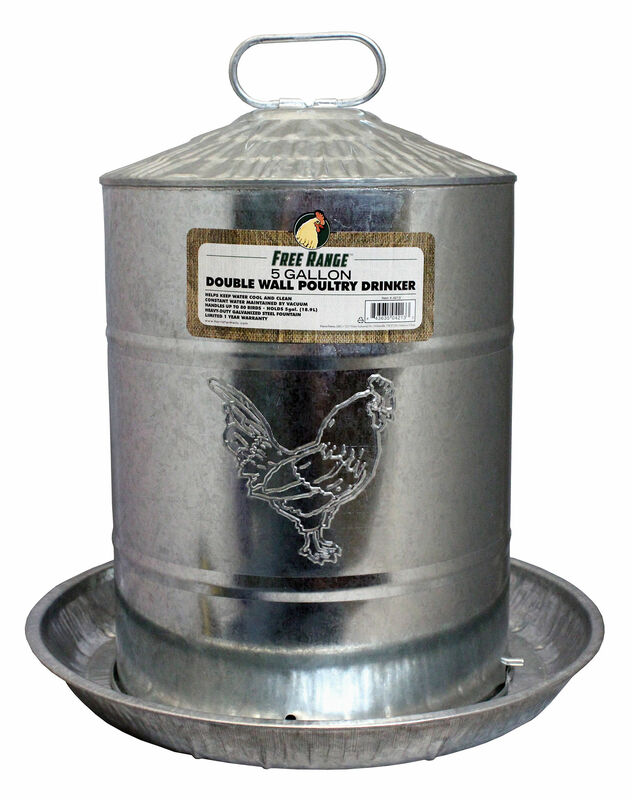 Double-wall construction from heavy-duty steel means this 5-gallon poultry fountain assures a generous supply of cool water to promote intake for up to 80 chickens or game birds. Constant water level maintained in pan by vacuum, so no floats to get stuck or replaced. Model features: visible locking device, roost prevention top plus inner tank has brass valve with rubber sealing washer for positive shut-off.